HV Power employs staff from all backgrounds and all religions. We are a New Zealand owned company with an inclusive culture where staff are treated as part of our extended work family. We celebrate together as a team but also celebrate our differences - our diverse cultural heritages, and different customs. We recognise that we may not always agree. However, we share a common willingness to stand up and state we understand what is right and what is wrong. Until this month our country has enjoyed an innocence, partly due to our isolation. To those directly and indirectly affected by the recent events in Christchurch, know that the team at HV Power stand beside you. Horstmann have released their 2019 Catalogue of short circuit and earth fault indicators. Page 62/63 gives a useful overview of the range of overhead fault passage indicators, ranging from the Navigator LM(C), the Navigator Flag, the SMART Navigator and the new SMART NAVIGATOR 2.0. 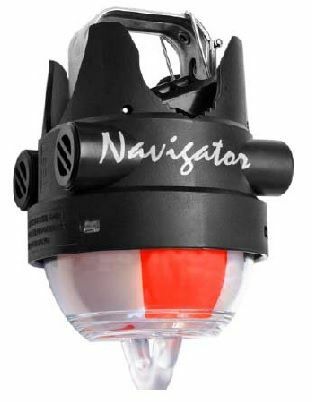 The catalogue includes the NAVIGATOR LED+FLAG product, based on the SMART NAVIGATOR electronics, it offers a 50 A (100 ms) sensitivity, but highly visual mechanical flag and bright LED flash. The NAVIGATOR LED+FLAG is highly recommended to those looking for simple, low cost effective visual only indicator. Unfortunately the new communicating highly sensitive SMART NAVIGATOR 2.0 SWER device did not make this edition of the catalogue, but an overview of the SWER can be found in our October newsletter. If you are interested in the SWER product with its 6 A fault current sensitivity – contact us for a copy of the brochure and manual. The SWER product is now shipping from the factory. While called the SWER – it can equally be used on standard three phase lines. MTE’s Hydrocal genX is truly a maintenance free multi-gas online DGA solution. It requiring no gas consumables (no carrier or calibration gases) and features no pumps etc. While using a membrane gas extraction method – the genX delivers superior value there too – the membrane is vacuum protected (eliminating the greatest risk of failure – damage due to incorrect transformer oil related operation where a vacuum is created on the connected DGA). The Hydrocal 1004 genX uses near infrared measurement technology, which means no moving parts and no use of measuring technologies that prematurely lose sensitivity etc. 1004 genX is small, and therefore very simple to install (no large mounting brackets required). The 4 in the 1004 describes that the unit has four different discrete measurements. Detecting hydrogen, carbon monoxide and Acetylene it checks on the main sources of trouble. Moisture-in-oil is included too. Hydrogen is an important measurement, and most faults in insulation will generate Hydrogen. Carbon Monoxide (CO) is related to cellulose/paper insulation and Acetylene relates to arcing/partial discharge and overheating. Download HYDROCAL 1004 genX information today. For clarity and just for fun, I’m calling this “Geoffexit”. Geoff leaves the company to retire in April. We recently had the pleasure of having one of the A.Eberle Power Quality Support Engineers out to New Zealand and Australia to assist with presentations, assist with maintenance support and upskill our staff. During those many hours on the road between different customer appointments, we got to the bottom of many issues. One being the correct daylight savings setup for the PQI-DA smart product. Following that discussion our German engineer went back and rewrote that section of the manual. They kindly gave us the opportunity to then edit it as in our opinion manuals are best not written by the technical expert – they tend to make assumptions about the readers understanding. Therefore, the next release of the manual will contain a clear description of the correct DST setting method. In the meantime, we have completely rewritten our WinPQ Quick Note WinPQ-QN014 that now correctly covers this topic. Contact Warwick if you would like a copy. When attending a recent Power Quality Conference hosted by Queensland University, the application of the new Rapid Voltage Change (RVC) measurement was made clearer to me. 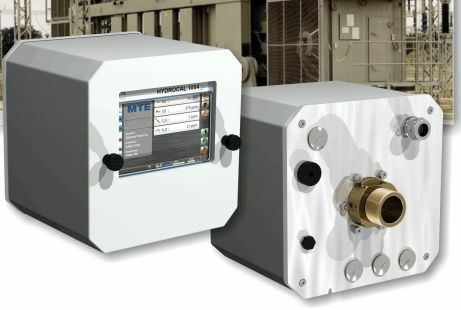 Power Quality monitoring based on EN 51060 methodology for example, looks at over/under voltage transgression, say above 10% of nominal and below 10% of nominal. The measurement of RVC was introduced as it is possible to have a voltage variation occurring within the above over/under thresholds, which is not flicker, but equally annoying. The measurement technique for RVC allows a fluctuating voltage issue that is within the ‘acceptable’ normal voltage limits to be identified. A typical case where RVC is an issue is the voltage fluctuation that can occur with photo voltaic systems when clouds pass overhead, causing a fluctuation in output. So now the application of RVC measurement is better understood, feel free to refer back to our ‘Hints and Tips’ document #12, for the detail on how it can be setup in our portable PQ measurement devices (i.e. the A.Eberle PQ-Boxes) and our fixed-installed devices (the PQI-DA smart). Do I need to worry about GPS rollover on 6 April 2019? The reason for a GPS rollover is similar to that of the millennium bug. Early GPS receivers used a 10-bit field to encode the week number, which means a maximum count of 1024 weeks (approx. 19.7 years). As GPS time ‘started’ on 6 Jan 1980, the 6th April 2019 is the second rollover, where clocks could now jump back to thinking it’s 1999. For those clocks affected, be advised the problem may not occur simply on the 6/4/2019, but at some later date for those manufacturers who wrote there code for products released after 1999 - they may have coded such that the rollover event would occur 1024 weeks from the date used when the firmware was compiled. Modern GPS receivers use a 13 bit field, so that’s a lot more than 1024 weeks, and a lot more than the typical service life of the equipment. Tekron have confirmed the NTS 01/2/3 series will not suffer rollover. For the very popular Tekron TCG 01 series, the Rev D hardware (introduced around 2006) and later has been researched and confirmed it will not suffer rollover. There may still be some even older Rev A/B/C clocks in service. The Rev A/B/C clocks used Motorola GPS receivers which may suffer rollover from 2020. We recommend you budget to replace these units before April 2020. Please contact HV Power to discuss.